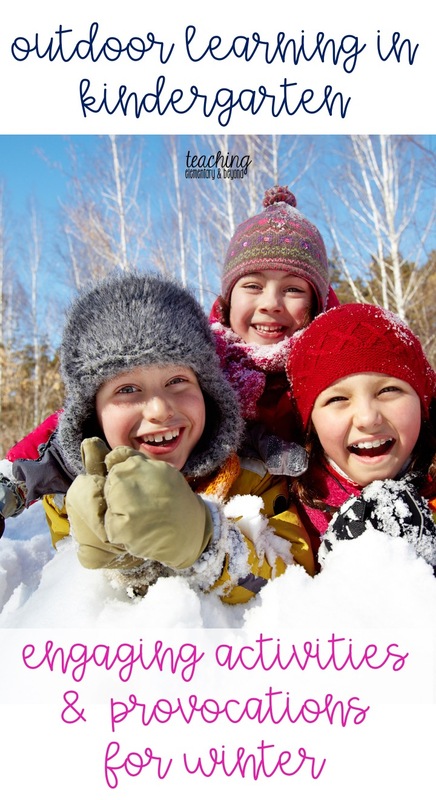 Engaging in the snow is often our students favourite activity. Usually for the first snowfall we do not set out anything to engage our students as they are filled with pure joy of playing in the snow with their friends. 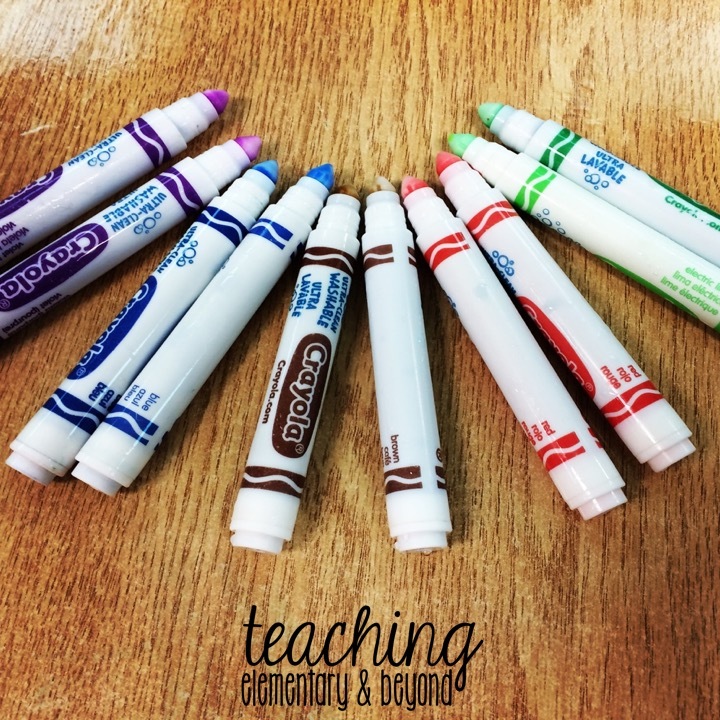 After the initial "buzz" wears off we like to change up the learning environment to provide new opportunities for learning. Our students love to spray snowmen, pictures, words, patterns and designs in the snow! 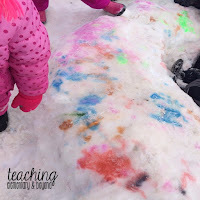 The following image is a colourful snow fort! 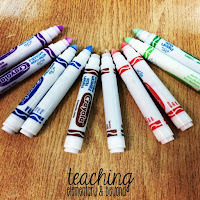 We reuse dried out washable markers and even have asked the whole school community for donations for our cause! The night before we go outside I place two to three dead markers with water into high quality spray bottle that will not leak and can withstand the cold without cracking. Shake them in the morning and the colour will become more vibrant! Our spray bottles are in a little plastic tote which is easy to carry outside. We usually have at least 5 bottles to spray but prefer more. We have learned that we always have to give the students a lesson at not aiming at their friends bodies. Only aim at the snow! We usually set a timer for how long students can use the spray bottle. Some children easily share but often this needs to be teacher directed! I can usually refill the bottles with more water one to two more times before they no longer leach out any colour into the water. 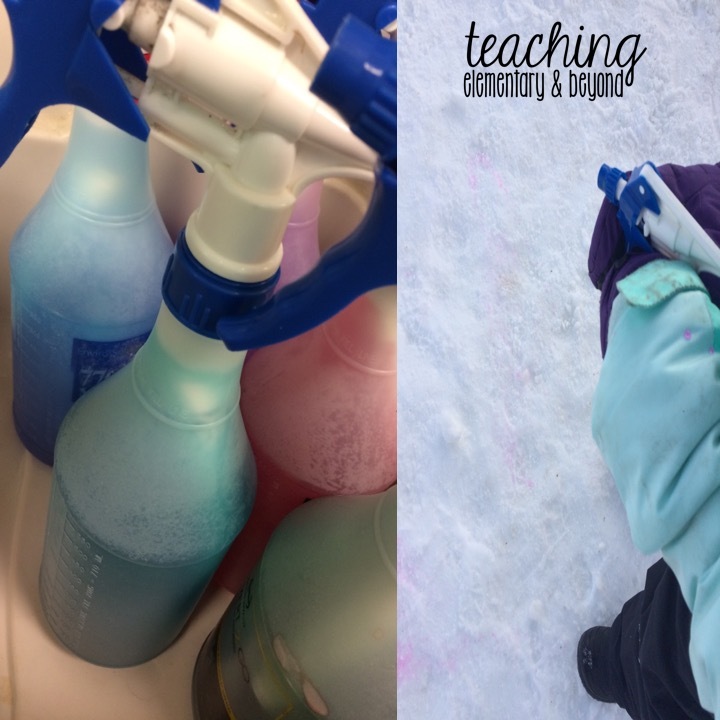 It is simple enough to empty the bottle, add new markers and refill with water ready go go for the next day of fun in the snow! 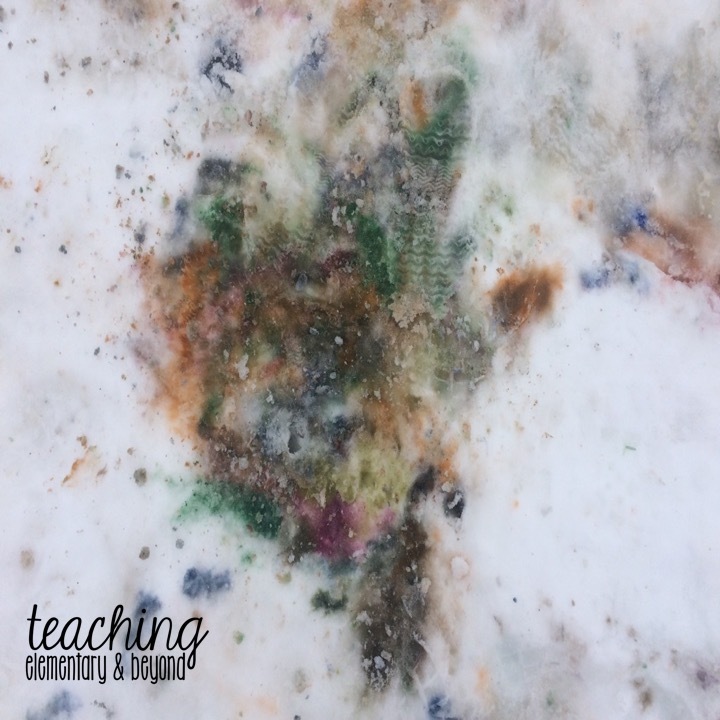 Painting the snow is a simple provocation. All you need is snow, paint and water to spread the paint! 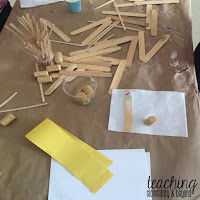 Although this is a lot of fun, it can be very messy! 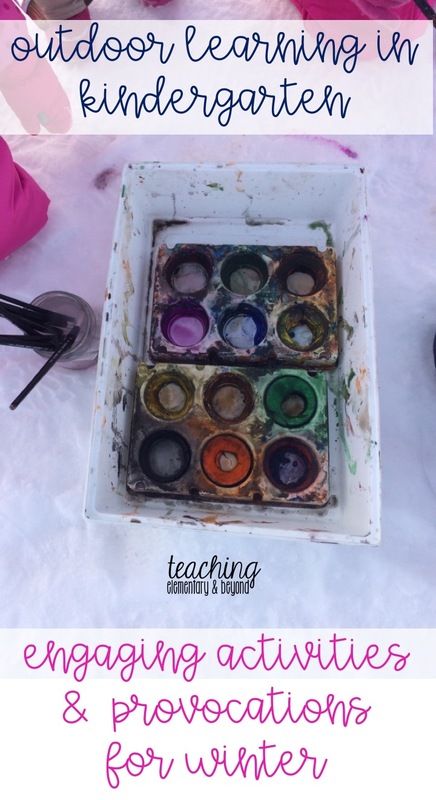 The top image above is the paint tray before the students started painting and the bottom image is at the end of our outside learning. Be prepared for a little bit of clean up! 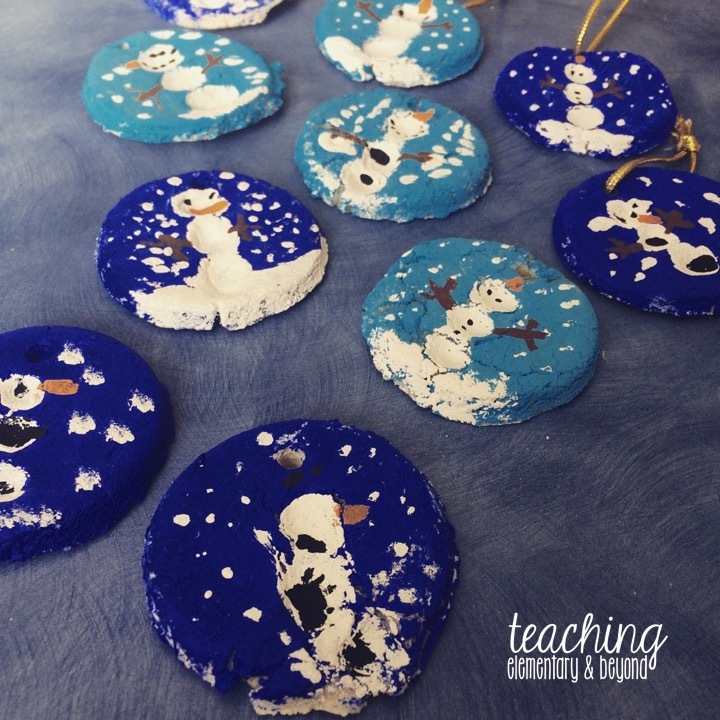 This past year we used salt dough ornaments with our students. 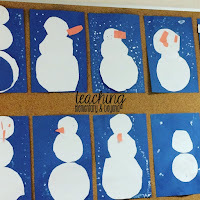 They loved using their creativity to paint them after they had pressed their fingerprints into their ornament to make the body of the snowman. These ornaments must be dried out before you can paint them so be sure to safely poke the hole through before you dry them out. Each ornament was beautiful and unique! 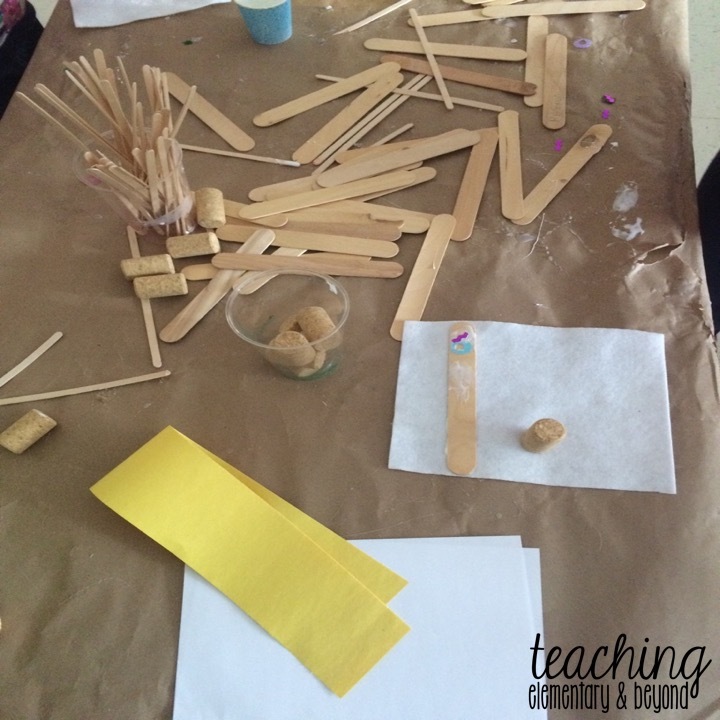 We left a variety of different popsicle sticks out at the art table with glue and let the kids go wild. They did! 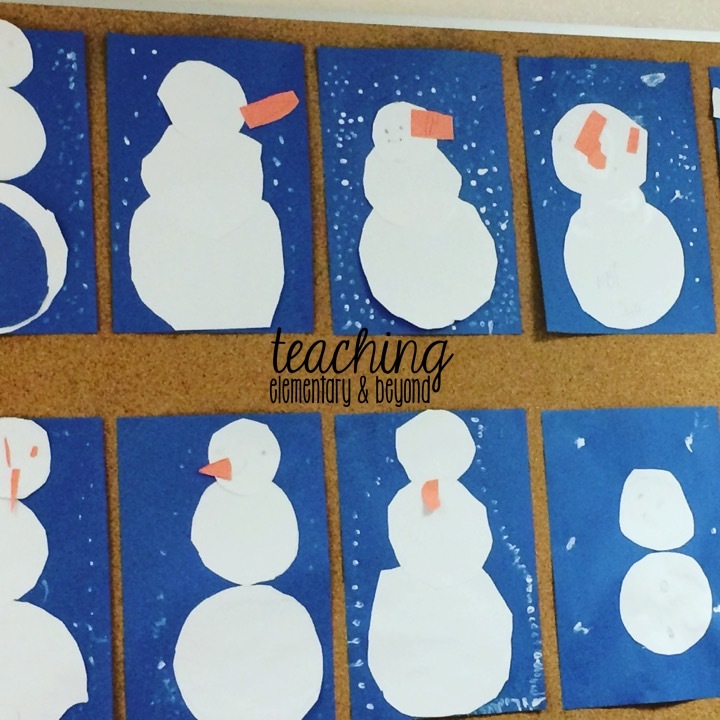 The day of our first snowfall we provided the following materials and note the amazing snowman art that resulted! 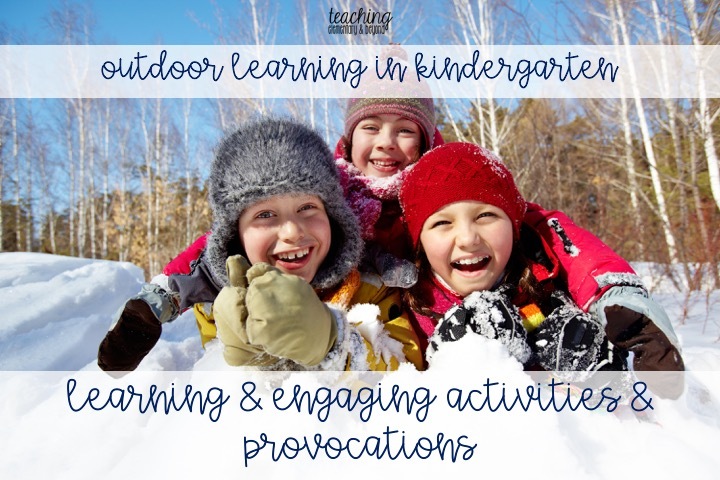 I hope you found some great ideas for activities to use with your students this winter!